(Nanowerk News) Lasers can now generate light pulses down to 100 attoseconds thereby enabling real-time measurements on ultrashort time scales that are inaccessible by any other methods. 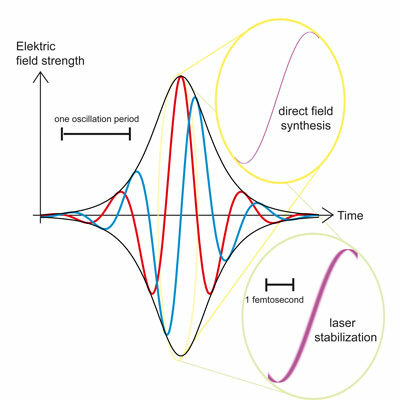 Scientist at the Max Born Institute for Nonlinear Optics and Short Time Spectroscopy (MBI) in Berlin, Germany have now demonstrated timing control with a residual uncertainty of 12 attoseconds. This constitutes a new world record for the shortest controllable time scale ("Direct frequency comb synthesis with arbitrary offset and shot-noise-limited phase noise").